UEFA have revealed the fans’ team of the year for 2018, featuring just three Premier League representatives – and none of them are Mohamed Salah. The final team was revealed on Friday after a month of voting which saw 1.8m votes cast in total, and features the fearsome front three of Lionel Messi and Kylian Mbappe and Cristiano Ronaldo – who won more votes than any of his attacking counterparts. Ronaldo’s 2018 saw him win a fifth Champions League, and finish top scorer in the competition for the sixth straight season. 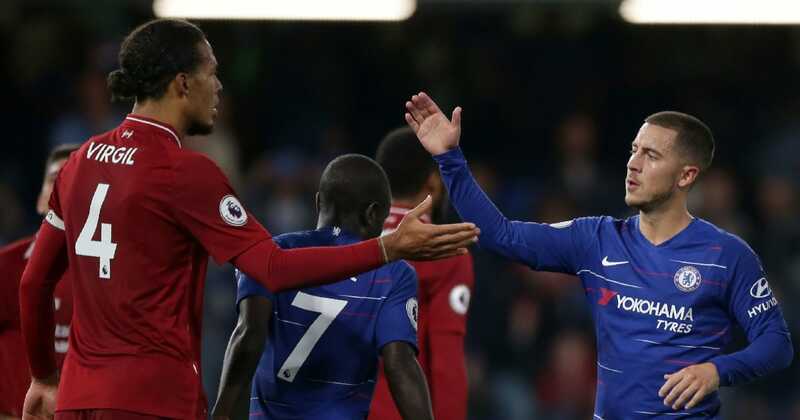 The three-man midfield, meanwhile, is dominated by ?Chelsea, as Eden Hazard and N’Golo Kante join Ballon d’Or winner Luka Modric, after all three players had terrific World Cups, while Modric also took home a Champions League for his troubles. Kante was a central part of France’s victory over Modric’s Croatia in the final, while Hazard picked up a third place medal with Belgium. The defence is unsurprisingly heavy on ?Real Madrid stars, as Sergio Ramos, and Marcelo occupy the full-back positions, while France’s Raphael Varane takes one of the centre-back spots. The other defensive slot goes to Liverpool’s Virgil van Dijk, who arrived at ?Liverpool last January and played a key role in transforming their defence into one of the most formidable on the planet. To round things off, ?Barcelona’s Marc-Andre ter Stegen takes the gloves, after a 2018 which saw him miss just one match for his club and brought the year to an end with four consecutive clean sheets.